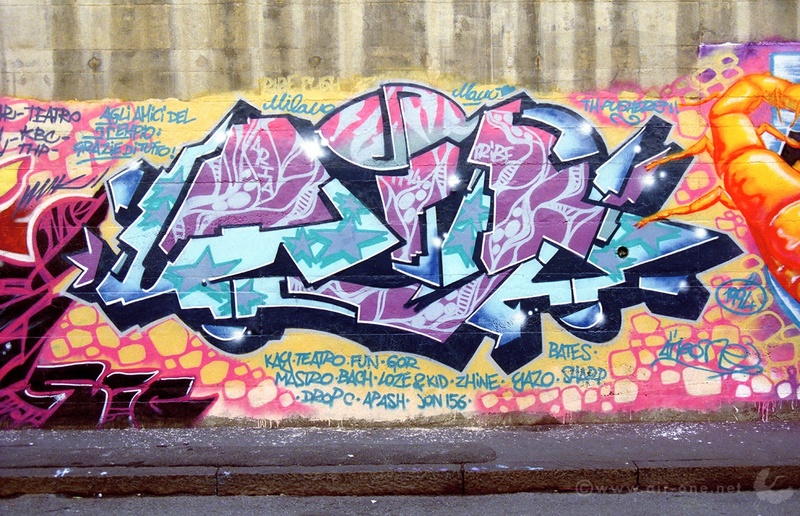 During the 90’s every piece painted in Via Pontano was precious. It was a real honor to be hosted at Sten&Mec‘s hall of fame, probably one of the most famous walls in Italy. This time I was with my close friends MastroK and Teatro, once again experimenting another style: looking back at those days all my pieces were really different one from another each time I was painting… still looking for my own way.